After what seemed like never ending of snow, wind, and rain, the Weather Gods finally gave Boston a break last Wednesday evening. And good timing too (at least for moi!) 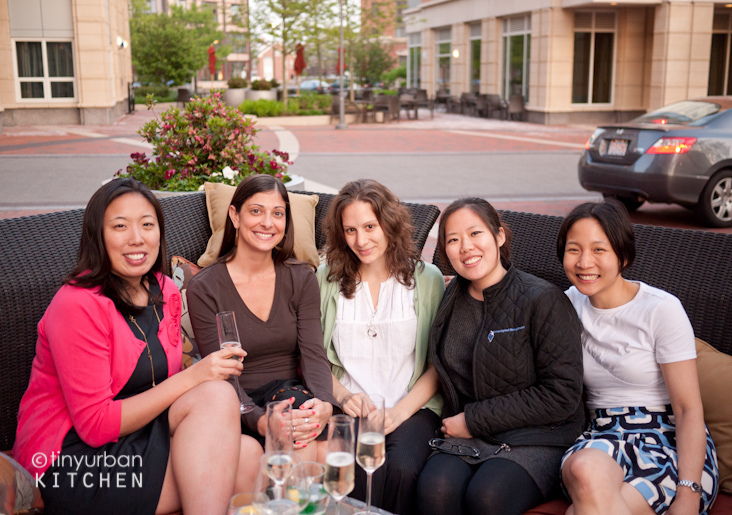 -- as the newly opened Aragosta Bar and Bistro in the Fairmont Battery Wharf hotel was hosting a blogger party on their patio that very night. Yours truly was in attendance of course, so take a look at some of the highlights of the night after the jump! Aragosta's cuisine is best described as "Italian-meets-New-England" and I jumped right into the Italian portion from the get go. 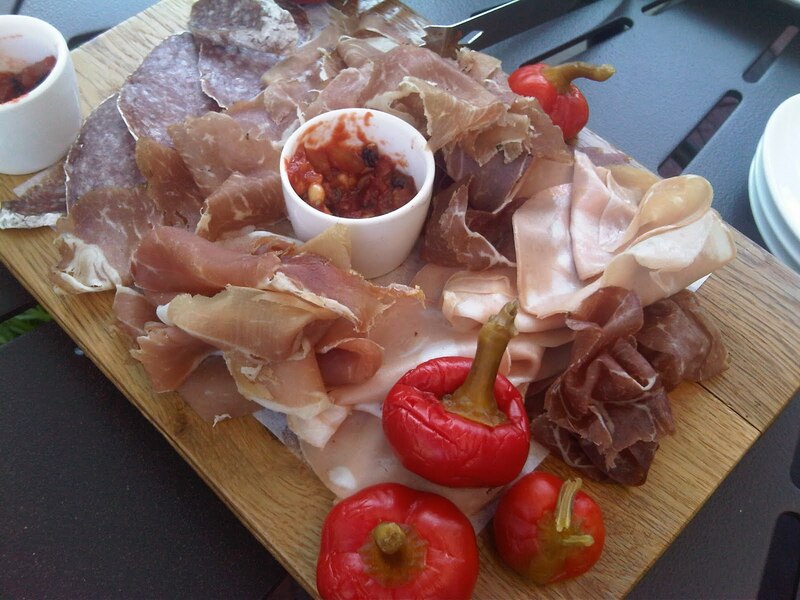 I arrived on scene to be greeted with a plate of fresh cut salami, caponata, and hot cherry peppers. 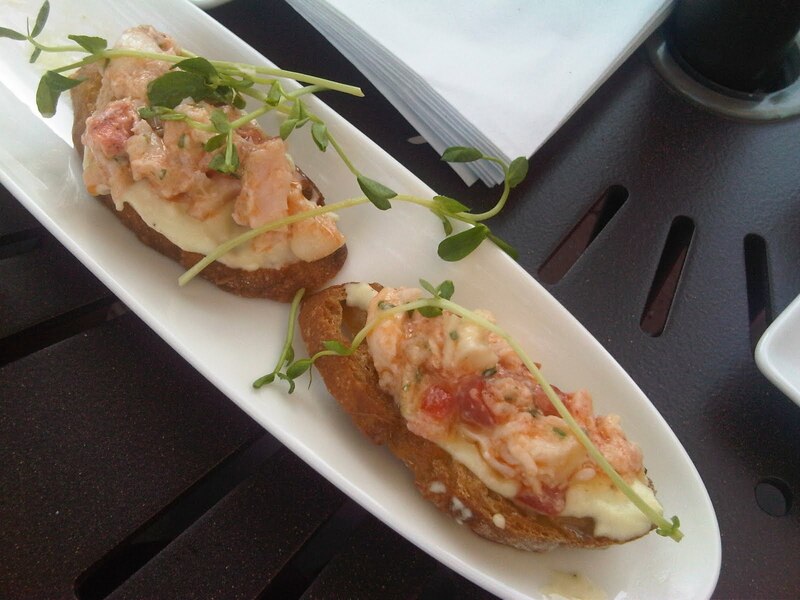 Here comes the New England part -- the chunk lobster and truffle crostini with white bean puree appetizer! Wait...did someone say lobster (aka my favorite sea creature of all time) AND TRUFFLE?? I believe love is in the air! I also thought it was a fantastic idea to pair the light and airy white bean puree with the heavier lobster + truffle to offset its richness. Chef David Daniels created a few cute bite sized samplings of the entrees on the menu for us to sample (although even with the smaller portions, all us bloggers left ridiculously full). 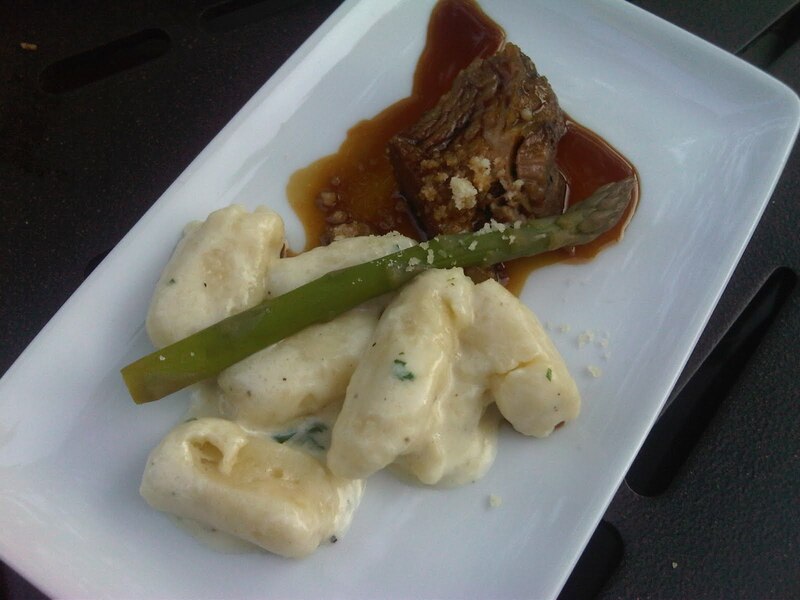 My favorite out of the bunch was the gnocchi with slow cooked lamb shoulder topped with rosemary citrus jus and asparagus. The lamb was fall off the bone tender and seasoned to perfection with the rosemary citrus jus. I also want to mention that Aragosta hand-makes all the pasta it serves, which must explain why the every pasta dish was extra tasty -- after all, it's a fact no store-bought pasta can match the flavor and texture of homemade pasta. Want the full download of everything we tried? Head over to my fellow party-goer Michelle's blog for additional photos and thoughts!